You are here: Home / Fight Yourself Fit / Sneak Punchers Doing The “Fight Yourself FIT” Workout! Sneak Punchers Doing The “Fight Yourself FIT” Workout! Above is a short video from an early morning training session using the “Fight Yourself FIT” workout. We put Stuart and Paul through their paces this morning, using the Sneak Punch 15 minute workout (available to download FREE). These guys are already really fit, so we used the workout as a warm up before progressing to the pad work rounds – but even they had to stop for a breather! We want you to use the “Fight Yourself FIT” workout in the same way. At the start, there is no doubt, that this workout is hard. It’s fantastic for building up the legs and for giving you great mobility. 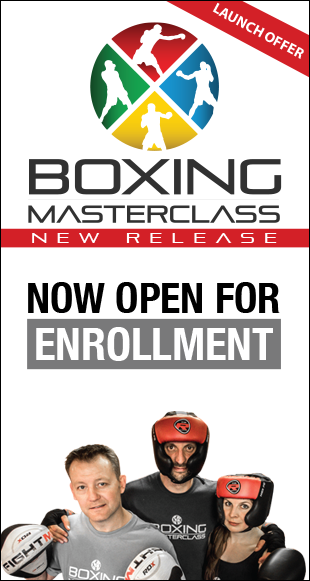 Once you have it mastered and the routine becomes easier, why not add more boxing or fitness training afterwards. A lot of “Sneak Punchers” have been adding their own moves to the boxing section part of the workout (using the tutorials from Sneak Punch TV as an inspiration for new combinations). After the workout, why not challenge yourself to 4 x 3 minute rounds of shadow boxing with a 1 minute break between the rounds. I have put a quick combination guide below for you to follow through the rounds to get you started. Warning: Remember when shadow boxing not to over extend your arm when punching as this can injure your elbow. The following shadow boxing rounds are based on the Orthodox stance, simply do the opposite if you are left handed. Start off lightly with the jab. Increase you speed and move in and out with the jab. Double and triple your jab whilst moving in and out. Mix up all the jabs, singles, doubles and triples. Practice all and add in feints. Start off again with the jab & cross combinations from the first round. After the cross sit down in your stance keeping your guard up. Add in a right uppercut after sitting down in the stance. Add in a left hook after the right uppercut. From your stance, imagine a right cross coming in and slip to your left, from the slip add in a left body punch. Now double up the left body punch. Finish off the combination with a right cross. Start off with the left jab, left hook. Lower your stance and aim a right cross to the body. After the body punch drive up with a left uppercut from the low stance. If you to have a bag available to train on, give the punch bag drills below a go. Make sure you’re wearing wraps to keep your wrists protected, and be sure to put lots of effort into your punching. You can perform this drill solo, but ideally to avoid bag swing, it is good to have a training partner there to hold the bag. Another advantage of having a training partner is so they can double check your form and point out discrepancies in your technique. The following punch bag drills are based on the Orthodox stance, simply do the opposite if you are left handed. Bag blast 1 (30 secs) – Head shots – repeated left and right crosses as hard and fast as possible. Bag blast 2 (30 secs) – Body shots – repeated left and right body punches as hard and fast as possible. Bag blast 3 (30 secs) – Up & down the bag – repeated left and right punches as hard and fast as possible moving up and down the bag using you legs to lower you down and up. Remember! – Before you start any exercise, read our disclaimer.